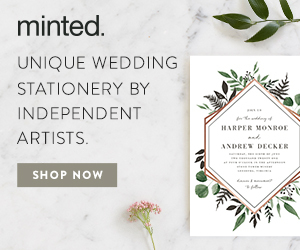 13 Museum Weddings and Engagement Sessions That Will Leave You in Awe — Catalyst Wedding Co. 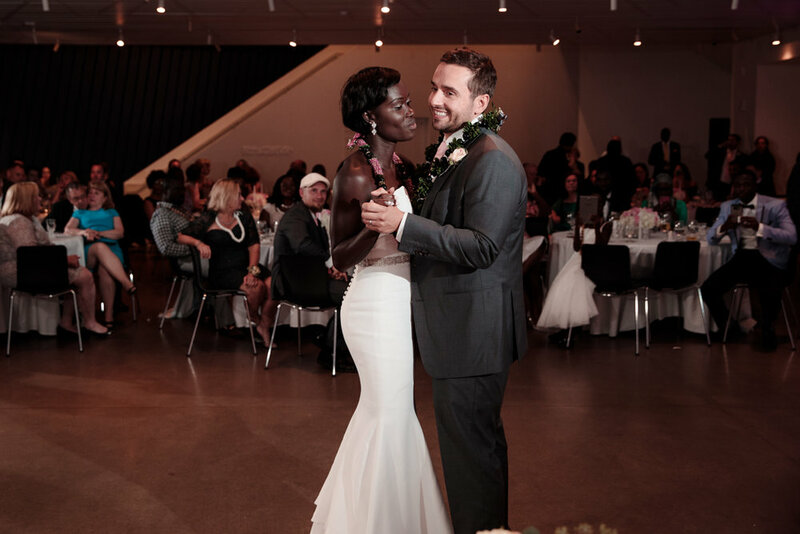 There are countless reasons to have your wedding ceremony or reception at a museum. Museums all have different themes, sizes, and styles, and you can find a beautiful museum venue is nearly every city in the world. Plus, it’s likely that many of your guests will be getting a brand-new wedding experience, adding to the fun of the wedding day. While all museums may not rent out their space for weddings and events, many still make gorgeous backdrops for engagement sessions, like the ones below (including a surprise engagement! ), that can take place during a museum’s normal hours. 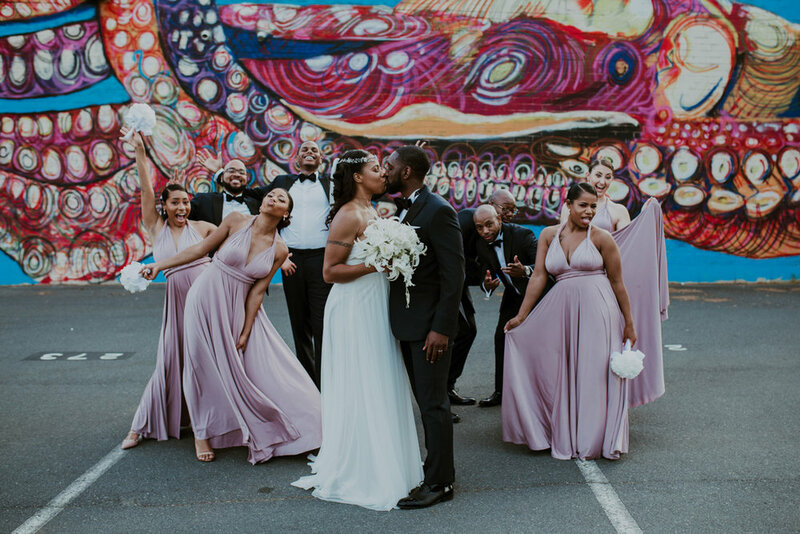 And if you’re in the Washington, D.C. area and find these wedding super inspiring for your future nuptials, check out the list of Smithsonian museums that are now accepting reservations for events! Jess and Karolyn got engaged in “a private corner” of the Natural History Museum in London and went back for a reminiscent engagement session. While it was a regular day of operation for the museum, Nessa K. got plenty of photos of the couple at the top of the main staircase around the balcony overlooking the main floor, and little secluded spots around the museum, giving the illusion that they had the museum all to themselves. The Natural History Museum also has dozens of windows that let in a dreamy sunlight that was perfect for their casual but intimate shoot and the love caught in every frame. If eccentricity is your thing, Megan and Dustin’s wedding at the American Sign Museum in Cincinnati (with a mini shoot beforehand at a cemetery) is something to behold. The ceremony took place amid vintage neon signs that cast a unique red glow on the guests and the couple. The reception was also inside the museum, with plenty of space for tables and a dance floor. Their photographers Corey and Alex Larrison loved the challenge of capturing the event in the unusual lighting, and they made every photo look different and interesting. 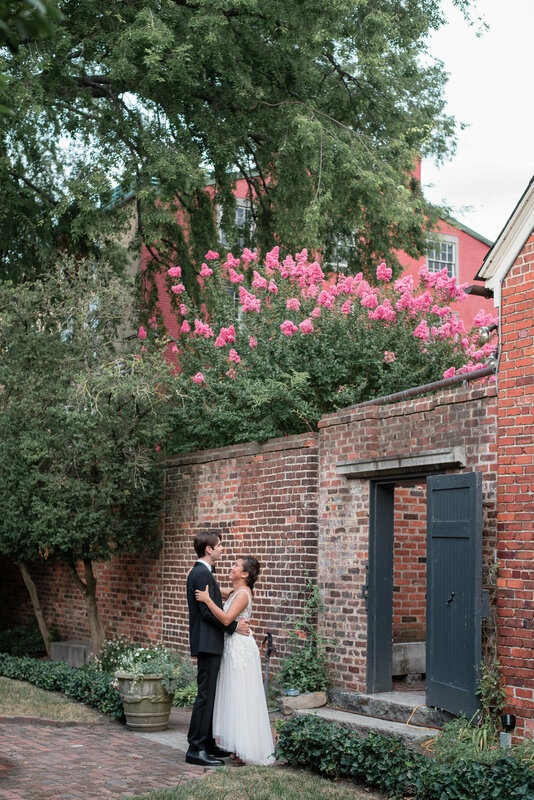 Ben and Christina had a small wedding at the Poe Museum in Richmond, Virginia. Their intimate ceremony took place in the museum’s Enchanted Garden with only their parents, officiant, and resident black cats Edgar and Pluto in attendance. After the ceremony, their photographer Melissa Desjardins captured the couple around the garden and with Edgar Allen Poe’s bust. The sight of Ben in a tuxedo and Christina in her wedding dress added to the enchantment of the garden, while the addition of their special world-traveling teddy bear and plenty of fun poses captured their personalities and happiness as a couple. 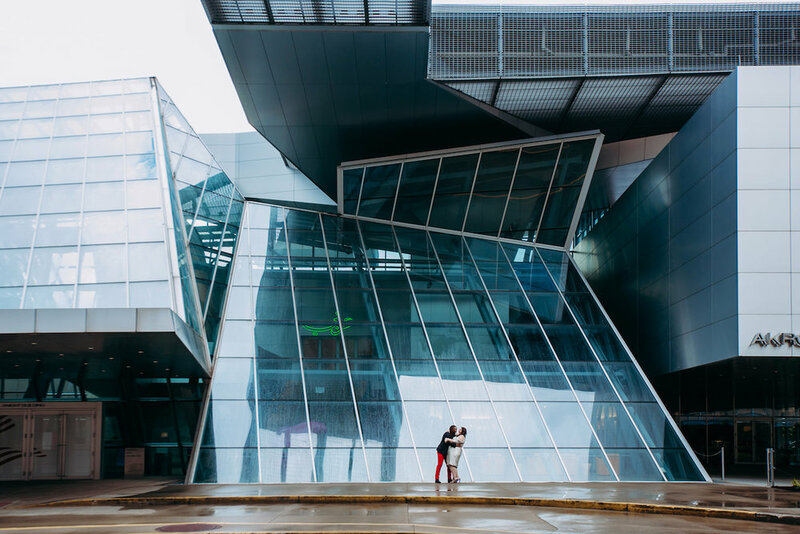 The Akron Art Museum is one of the more modern buildings on our list, and Alysse and Gio played it up with elegant, sophisticated looks for their photoshoot. Even without going inside the museum itself, the couple showcased their love and three outfit changes with geometric glass walls and classic Grecian columns overlooking a small garden. Elissa and Ralf got married at their favorite ski resort and held their reception at the Museum Restaurant, where guests could browse art exhibits between courses. The museum is built of a beautiful dark-stained wood that gave it a very cozy feel, especially with the view of snowy mountains and the lights lining the porch at night. Elissa’s dress from the 1920s and veiled hat added even more charm to the look of the museum. While the venue was small, there was still room to dance, dine, enjoy art, and celebrate the beginning of Elissa and Ralf’s life together as a married couple. The Metropolitan Museum of Art was a beautiful and spacious venue for Emily Tuttle, associate photographer of Cinder and Co., to snap shots of Tomasz and Jessica before, during, and after Tomasz proposed. Emily photographed them from afar as they appreciated paintings and statues together. Tomasz waited to pop the question in front of the Roman Temple of Dendur, located beside a whole wall of windows for beautiful natural light. After the secret was out, Emily got some pictures of the couple’s excitement as Tomasz slipped the ring onto Jessica’s finger and shared kisses. 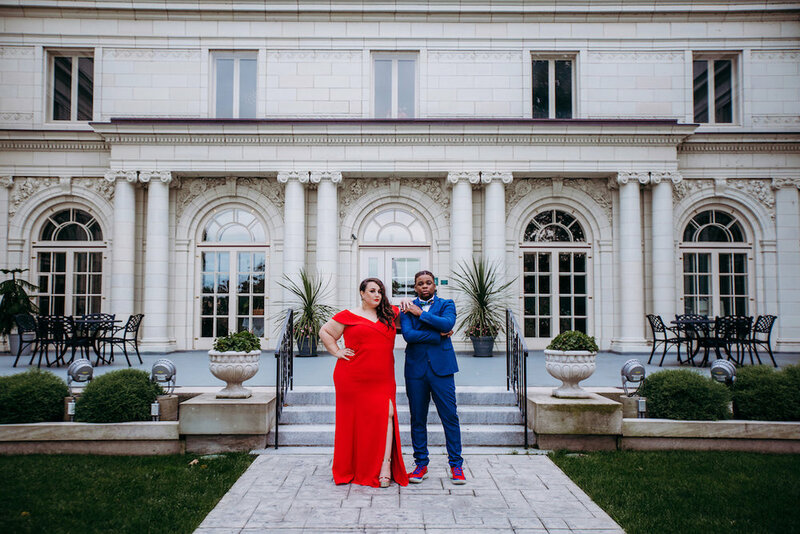 Photos by Cinder & Co.
Shavonne and Travis were originally going to have a rustic-themed wedding, but that changed when they chose the Levine Museum of the New South as their venue. The Levine Museum is pretty much perfect for a wedding: Shavonne and her father’s “first look” was in a simple room lined with black and white photographs, the spacious main hall was quickly transformed from the ceremony to the reception, and the outside had blue and purple accents and a colorful mural for some fun pictures with the wedding party. Photos by Phylicia Willis of Posh Moments Photography. With Stefan originally from Sicily and living in Manchester, England and Kevin living in San Diego, the couple felt that the San Diego Museum of Art and the surrounding Balboa Park’s European designs were a perfect way to reflect their journey in their wedding venue. Inside the museum, there is a mix of modern in the black, white, and gold gallery designs, and classic with the rustic arches. The ceremony took place in the museum’s garden with potted fronds and a tower in the background turned rosy-pink as the sun set and lit blue at night. Every shot of Marc and Laura’s engagement session at Washington, D.C.’s National Gallery of Art is filled with fun and love. The couple looked so natural together amid the large fountain, twisting tree branches up the walls, light exhibits, and everywhere in between. 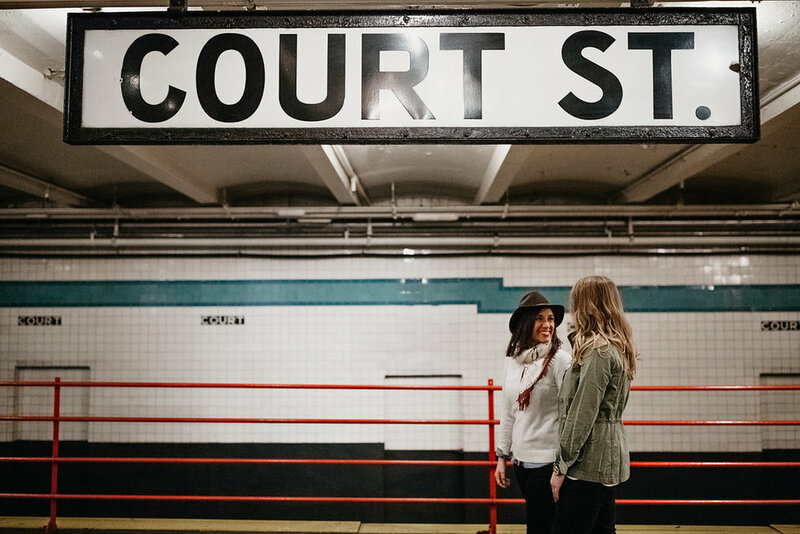 After some pictures at home with their adorable little dog, Leah and Rachel continued their engagement photo shoot at the New York Transit Museum. The fun-filled trip around the vintage train cars made the museum visit just as intimate as the previous photos. Photos by Wilde Scout Photo Co.
Allie and Ywanarai’s ceremony took place in the Lightner Museum’s sunny and green courtyard. The classic, European feel of the museum and surrounding St. Augustine highlighted the simple ceremony the couple wanted, which in turn allowed their love and excitement about being married to one another to shine its brightest. The Museum of Contemporary Art in Cleveland (MoCa for short) was the perfect modern counterpart for Gloria and William’s more classic ceremony at the Hanna Courtyard Garden. 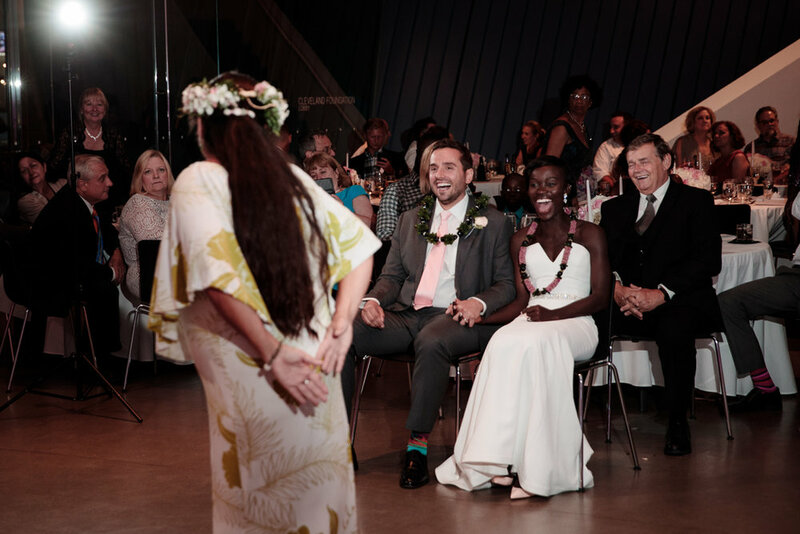 The space was large enough for a very spacious dance floor that featured a surprise Tahitian dance ceremony from Will’s sister-in-law in the newlyweds’ honor. A portrait gallery was also open for Gloria and William to sit and enjoy a wall of modern paintings together. When Josh Gooden said he knew he was in for a good story when he first heard about Markus and Carl, he certainly wasn’t kidding. 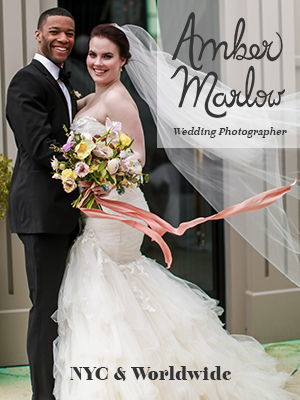 Josh filmed an absolutely breathtaking wedding at the Penn Museum. Markus and Carl strolled the museum’s grounds for stunning clips of the architecture and surrounding Philadelphia. The couple took advantage of one of the largest collections of Egyptian artifacts in the US and used a sphynx as their ceremony’s backdrop. Markus & Carl // Philadelphia from Josh Gooden on Vimeo. Michaela Dietz is a graduate from the University of CIncinnati, where she studied English Literature, Women’s Studies, and Electronic Media. What started as an internship with Catalyst turned into writing and editing the lovely Real Couples posts regularly featured on the site. When Michaela isn’t working, she’s reading, watching movies, or researching for fun like a huge nerd.